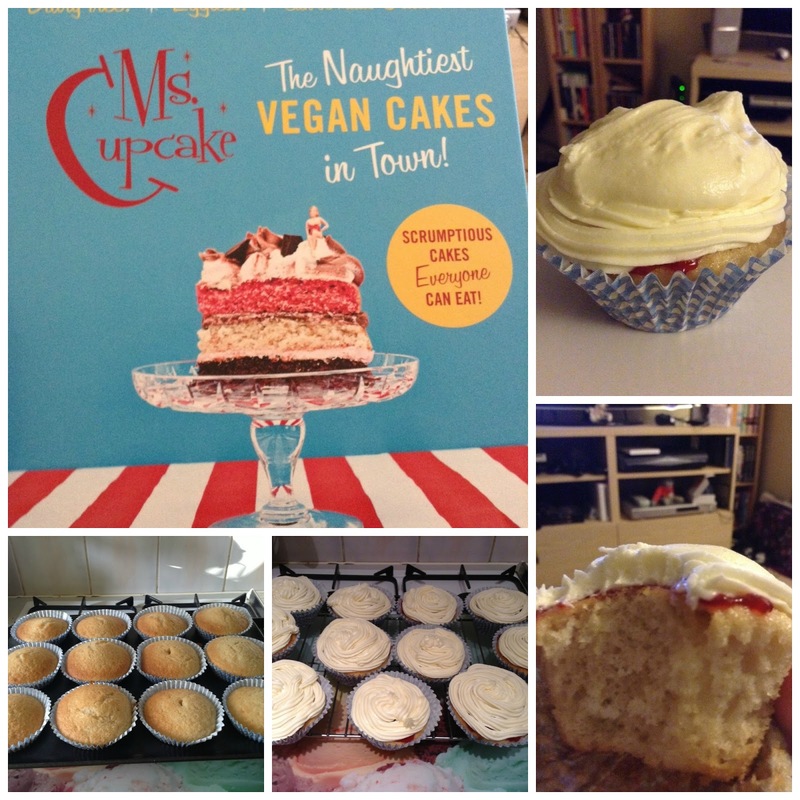 The highlight of my weekend has been the arrival of my new cookbook, Ms Cupcake The Naughtiest Vegan Cakes in Town. My one and only Ms Cupcake purchase occurred at last years Allergy & Free From Show. I spent many years trying to master baking without milk and eggs. So far the cupcakes I have blogged or tweeted are from my bible cookbook, Vegan Cupcakes Take Over The World. I was attracted to Ms Cupcake's book because it contains a nice variety of dessert recipes. Not just cupcakes but muffins, cakes, loaves, easy bakes, no bakes and cookies. I can see straight away that ingredients will be easily sourced at the supermarket which is great, no need to trek to specialist stores. This is a glossy cookbook with fabulous pictures, although maybe too many selfies but I'll make allowances for that. One little teeny tiny criticism is I'm not keen on how the ingredients are laid out on the page. They run left to right rather than a list. If you are gluten free then this book has you covered and gives tips on how to adapt recipes. I spent an evening pouring over this book trying to decide what I could make first, I wanted to make everything. Even my boyfriend was audible cooing over the recipes putting in a request for cakes. In the end I went for the recipe which in fact prompted me to order the book, Bakewell Tart Cupcakes. I have to say these put me into a sugar coma but my goodness they are good. I didn't decorate them exactly to the recipe, I left off flaked almonds and a cherry on top. What's next on the baking list? It's a toss up between Nanaimo Bars, Blueberry Lemon Loaf Cake or Doughnuts. These look gorgeous! I've never tried any vegan foods but will have to give them a go and see if I like them.